Alicia Jo Rabins weaves violin, voice and electronic pedals together to create intimate atmospheres of experimental beauty. Rabins began studying classical violin at age 3, thanks to a Phil Donahue special on the Suzuki method. From there, her musical education continued in a wide range of genres including avant-garde composition, traditional fiddle music, and songwriting in genres ranging from indie-folk to rock opera. She is the creator and performer of Girls in Trouble, an original song cycle about the complicated lives of women in Torah, and A Kaddish for Bernie Madoff, a one-woman chamber-rock opera about the intersection of mysticism and finance. Rabins has released five albums of original music and appears on many more albums. 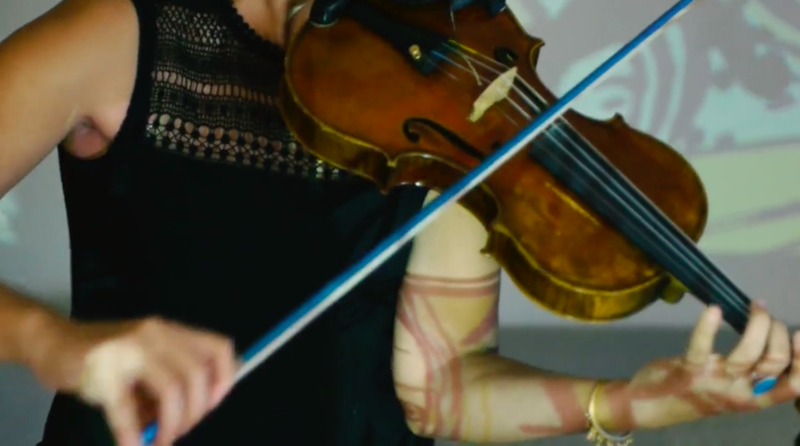 In addition, she has composed and recorded music for video installations, plays, and television shows; performed Appalachian music across Central America and Kuwait as a US State Department cultural ambassador; and was the violinist in NYC’s acclaimed klezmer-punk band Golem for eight years.